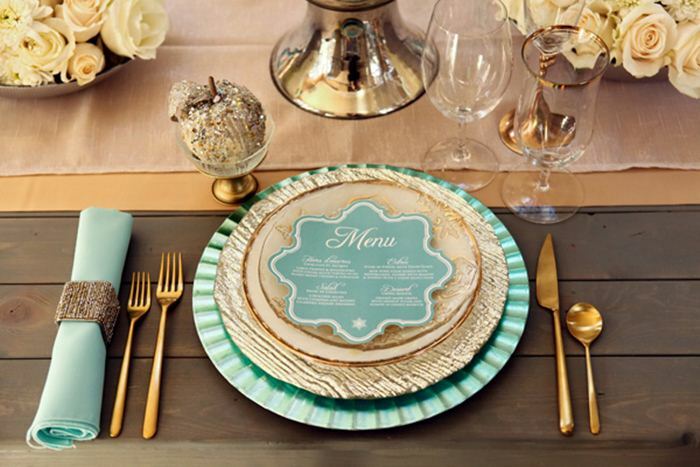 A mint and gold wedding is a lovely refined combination for a beautiful spring or summer wedding. 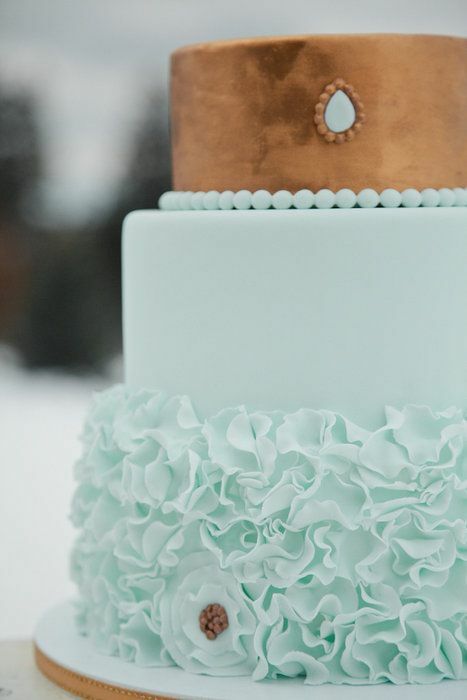 Fresh mint tones mixed with a pop of sparkly gold look amazing together. 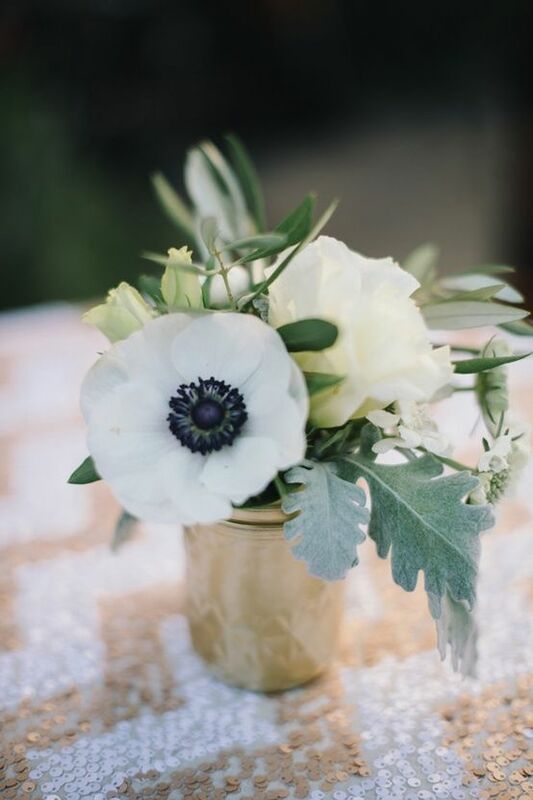 So here are just a few ideas to help you style your wedding. 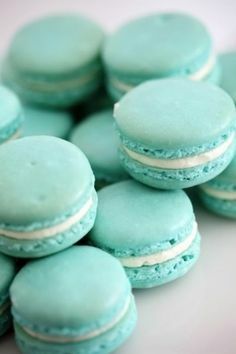 Above we have some very tasty looking mint coloured macarons, these could be for an after dinner treat or maybe use them for your wedding favours. The flowers in the gold metallic pot look lovely, the flowers are simple in colour and work really well with the strong colour of the pot. The place setting looks amazing, probably not the easiest to achieve on a budget with the gold cutlery and mint coloured plates but hopefully you can take some inspiration from this. The laser cut custom menus look great too – I’ll have to find a way to offer laser cutting! The lovely bottles shown above are a great way to add colour to your floral displays and relatively cheap and easy to do. 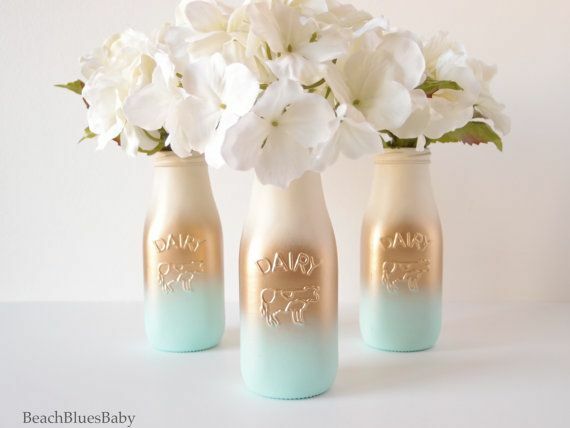 Find some nice looking bottles and some spray paint to achieve this look and keep the flowers themselves quite simple and light in colour. These mint coloured bridesmaids look lovely, though it would look great to mix some glittery gold dresses in with the mint coloured dresses. Or use some gold accessories! 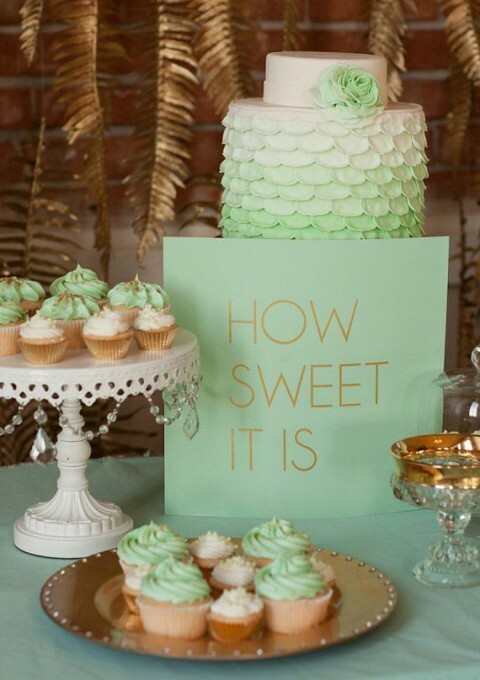 The cakes above are a perfect example of how well mint and gold work together. 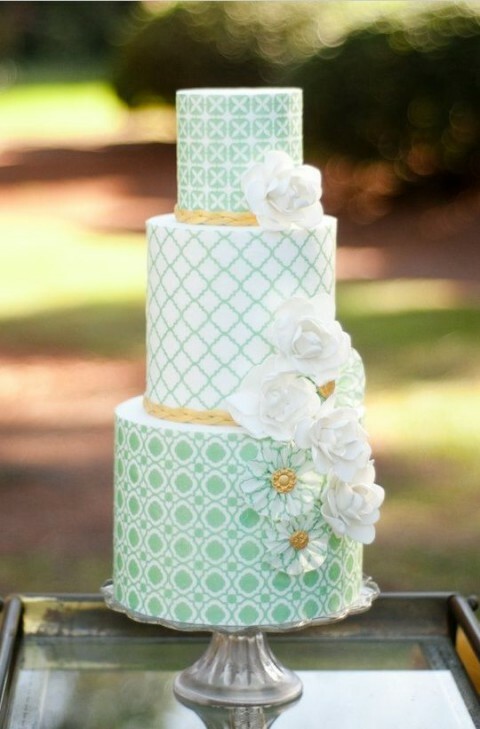 The lovely intricate cake on the left, simply uses a gold ribbon to add a pop of colour and nice pale tones of mint green in the patterns on the icing. The one on the right uses a bold metallic gold for the icing finish on one tier to really add contrast. I didn’t used to be a fan of gold as I always felt it could be a bit garish but I have to admit I am a convert. I would avoid any golds that are too yellow or orange and stick with the more ‘antique’ looking gold colours and pale gold. When used in the right way, gold weddings can be stunning and mint and gold wedding colour schemes are my new favourite!